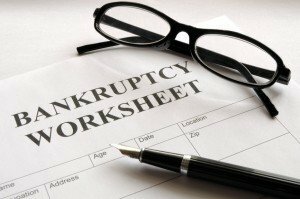 What should you expect in a free bankruptcy consultation? Bankruptcy lawyer Paul Staley offers a free consultation. Lots of bankruptcy lawyers in San Diego offer free consultations, so what makes his any different? Firstly, the obvious: it should be free. That’s a threshold most lawyers will live up to, i.e. they’re not going to ask for a fee before you leave. Except if you are actually hiring them. However, the highest-pressure “ Law Shops” depend on quick processing of many simple bankruptcy cases. This enables them to optimize profitability. Everything from the first phone call onward can feel like intense pressure to hire. It creates an atmosphere some of us remember from the seventies. One we used to expect when dealing with a used car dealer. I have had some clients tell me they have been to firms that actually conduct the initial meeting jointly. Yes, with other clients! This makes many uneasy, as it should. Consider this. You make an appointment with a bankruptcy lawyer in San Diego for a free consultation. You’d expect to actually meet with a lawyer, right? After all, if the meeting isn’t with a bankruptcy lawyer, it really shouldn’t be called a “consultation.” Sadly, that is seldom the case. Make an appointment with Paul = a meeting with Paul. He is the attorney who will handle ALL aspects of your case. Start to finish. Yet, too many bankruptcy lawyers in San Diego schedule so-called free consultations only with lower level support staff. If you’re lucky, you may get a legal assistant or more generously with a paralegal. Are you surprised that law and ethics watchdogs don’t consider this practice unethical or illegal? Paul believes clients deserve better. A bankruptcy attorney in San Diego should allocate enough time for a free consultation. Just because it’s free doesn’t mean it shouldn’t have value for the client. But, too often consults are limited to the minimum amount of time required for the firm’s representative to “sell” the client. Paul’s approach is very different. Find out how, now, by dialing him direct at (619)235-4095, and by reading on below. Paul is convinced he ought to be generous enough to thoroughly go through ALL the important facts. The clients’ income and expenses. The client’s major assets and debts. Produce a fairly comprehensive “Means Test.” Paul doesn’t ever anticipate he can get through all that in less than an hour. He typically allocates an hour and a half. That’s just in case there are unusual quirks and complexities in the case. And he’s seen enough of those to handle anything. A free consultation scheduled with a bankruptcy lawyer in San Diego should be with a real attorney. Period. That attorney should express his or her professional opinion to the client about these following things. (1) Whether the client is a suitable candidate for bankruptcy at all. (2) Which chapter of bankruptcy is most appropriate. (3) And if the client’s situation calls for it, recommendations on non-bankruptcy options. Each consultation should reveal unique aspects of the individual client’s situation. Like whether any (or many!) of the hundreds of rules contained in the Bankruptcy Code trigger peculiar requirements. The attorney should inform the client about important deadlines. Specifically and importantly – does the client need to plan around time / deadline-sensitive rules? The following are just a few common issues. How long has the client lived in the district where the case is being filed? How recently has the client incurred new debt? Does the client know of any creditor likely to allege s/he perpetrated a fraud? Does the client own assets which, at first blush at least, s/he would not be allowed to keep if she filed bankruptcy? Can the attorney help the client plan the process to ensure – or at least improve – the client’s ability to keep those asset(s)? What you want from a bankruptcy lawyer in San Diego is all that Paul has described above and more. You have a right to expect something much more exhaustive than an exercise in fourth-grade arithmetic. Meaningful legal advice takes knowledge, certainly. But it also requires the lawyer to listen patiently. To ask questions that are thoughtful, responsive to the clients’ information. The best advice can only come from an attorney who knows how to discover. One who realizes that even when the math seems simple, it usually isn’t. That the rules that apply to all those numbers are many and complex. Paul believes it is his responsibility to process all that information. Then and only then can he take the next important step. That is, to help the client to understand it like he does – without information overload. Several years’ teaching experience has served him well in this regard.